Geneva, Zug – 8, August, 2018: WISeKey International Holding Ltd (WIHN.SW) (“WISeKey”), a leading global cybersecurity company announced today the successful incorporation of WISeCoin AG in Zug. WISeCoin AG is a Special Purpose vehicle created by WISeKey in Zug to build the infrastructure for secure intra object interactions and transactions. 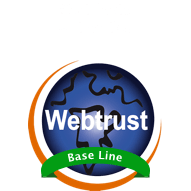 WISeCoin, powered by WISeKey Semiconductors and secured by WISeKey Root and PKI, offers connected objects the ability to identify each other with the objective to initiate, establish and complete secure transactions for every-day items. Each connected object is equipped with WISeKey’s Secure Element consisting of a tamper resistant silicon chip, called VaultIC184. This technology, based on a state-of- the-art secure microcontroller, allows device manufacturers an easy integration of the chip, and is offered as a provisioning service to transfer the burden of device personalization to WISeKey’s secure Personalization Center. It is a next-generation technology designed from the ground up to be the data and value transfer layer for the Machine Economy. WISeCoin benefits from the WISeKey architecture as the first and only vertically integrated platform combining proprietary cybersecurity software and secure semiconductors for the Internet of Things (“IoT”) to protect increasingly connected devices against persistent and evolving cyber threats. WISeCoin combines a range of microchips with software applications that cater to our customers’ specific business and security needs. 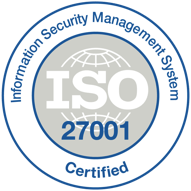 The software solution is driven by proprietary technology, such as Root of Trust (“RoT”) and Public Key Infrastructure (“PKI”), that enables our clients to effectively manage their digital identity, information, and communications in a single integrated platform. 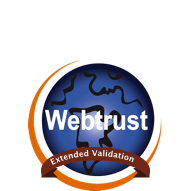 RoT enables us to secure electronic information through our digital certificate technology. 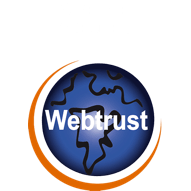 Our PKI services deploy digital certificates used for encryption, creating tamperproof electronic “fingerprints”. We enable our clients to adapt to an evolving device landscape without compromising their digital security. WISeKey is already testing WISeCoin cryptocurrency, as a method of identification and payment between connected objects and on cars, allowing these cars to pay for electricity, gas and parking through the integration of WISeCoin crypto wallets at the Secure Element Chip level. WISeCoin AG and Blockchain Valley Ventures (BVV), a Swiss-based accelerator and venture firm incubating, developing and investing in blockchain-enabled businesses, have partnership to launch the Initial Coin Offering (ICO) of WISeCoin in Switzerland (https://youtu.be/Np9c9aAjOrM). BVV, a spin-off of Lykke Corporation, will provide advisory services to launch the WISeCoin ICO in Switzerland. The WISeCoin token will be available for trade on the Lykke Exchange as soon as the regulatory process is completed.  This listing is a significant development for WISeCoin, that will use Switzerland as a base for its global deployment.